In the rural district of Chiradzulu in the Southern region of Malawi, HIV/AIDS continues to have a substantial impact across all sections of society, placing tremendous pressure on the health system and the economy. Australian Johanna Wapling recently returned from a year working with Médecins Sans Frontières as a Point of Care Laboratory Activity Manager where she worked on a project that provided same day HIV diagnostic services to the region. “I had previously spent three years working as a medical scientist in Papua New Guinea focusing on HIV, Sexually Transmitted Infections and Malaria, but this was my first time working in Africa. I was based in the rural district of Chiradzulu in southern Malawi. It is home to around 280,000 people who mostly survive on subsistence farming and has one of the highest rates of HIV in the country. Médecins Sans Frontières has been working in Chiradzulu district for nearly two decades. 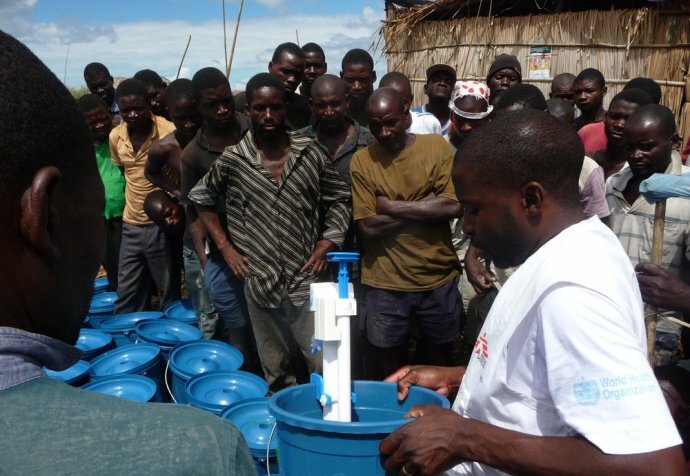 Originally the organisation arrived to support the influx of refugees due to conflict in Mozambique. However as HIV/AIDS emerged as major issue, Médecins Sans Frontières was there to promote awareness and healthcare options for people living with the disease. 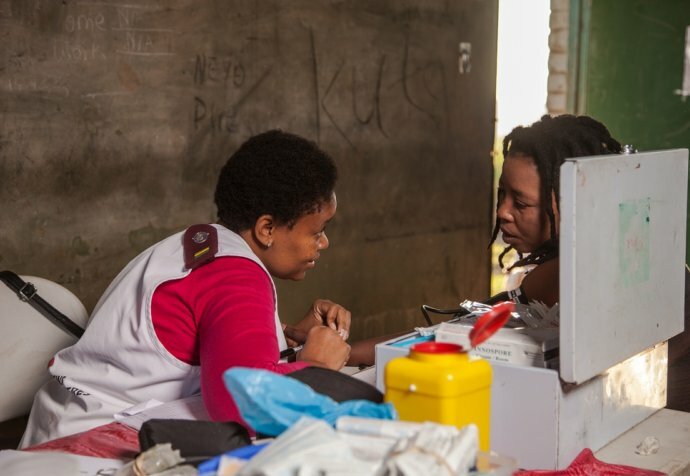 Together with the Malawi Ministry of Health, Médecins Sans Frontières now provides treatment in nine health centres and the district hospital, and services approximately 35,000 people living with HIV in the district. My role as the Point of Care Laboratory Activity Manager was to oversee the laboratory activities in a new program designed to provide two tests needed for HIV treatment management. The CD4 test measures the amount of a particular immune cell in a person’s blood, and is used to monitor the strength of their immune system. The viral load test measures the amount of HIV in a person’s blood, and is the best way to monitor the effect of antiretroviral treatment on the HIV infection. Advances in technology are allowing production of robust machines and tests that can be used in health centres with no running water, electricity and refrigeration. Depending on the day and the clinic, we can test anywhere between eight and 30 patients. They come to the health centre in the morning, have their samples taken and then they wait for the outcome of their results and then have their medical consultation, all on the same day. This rapid diagnostics process helps to improve medical management as patients no longer have to wait a month or more to receive those results and either start, change or receive help with their treatment. An MSF staff member rapidly measures the viral load of HIV in Chiradzulu in Malawi. Collectively one of the project’s big milestones is providing viral load tests to HIV positive people taking antiretroviral therapy. Monitoring viral load is best way to manage HIV treatment. A low or ‘undetectable’ viral load means the antiretroviral drugs are working well and keeping HIV under control. When a patient’s viral load is undetectable, they are healthy and less likely to infect someone else with the virus, such as mother-to-child-transmission during childbirth or breastfeeding. So as well as a healthier patient, on a population basis more people with an undetectable viral load means less new HIV infections. Having access to this tests means is one of the components in beating HIV.